Red Vein Indo Kratom is specialized Mitragyna speciosa strain from Indonesia. It is grown only in old and established forests. The location of each Kratom strain is an indicator of its quality and effects. Indonesia being the prime location of herbs cultivation produces the best Kratom of it to date. Red Vein Indo Kratom extract has a particular type of leaves with prominent red veins. The other leaves may have green or white veins. But for red vein Indo, only the red venation leaves are used. Where will you find Red Vein Indo? 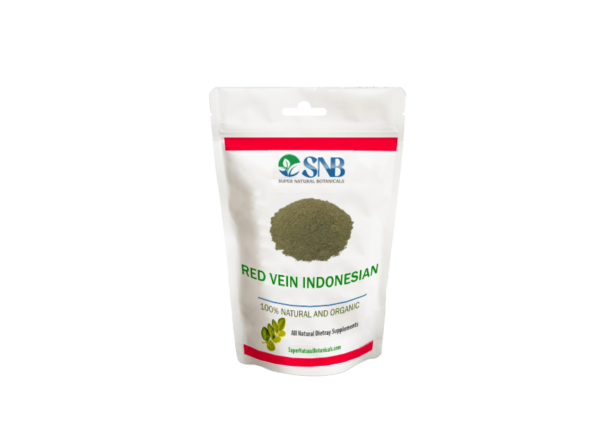 Red vein Indonesian kratom is from the tropical forests of Indonesia. These forests are on some local islands. The area where herbs grow defines its properties. The idealistic environmental condition makes Ultra Red Vein Indo Kratom a beneficial herb. By far, it is a high-end strain from mature leaves of Indonesian herb. What are the best effects of it? Red Vein Indonesian is a popular strain among users worldwide. It is mainly due to its particular alkaloid content. All the Indonesian strains are popular for their premium quality and effects, but red vein strains have the most benefits to offer. Buy Red Vein Indo Kratom at the best online Kratom vendor. We are also selling wholesale quantity to researchers, students, and educational institutions, for a medical research on Kratom strains. This company is highly professional, responsive, and easy to deal with. I especially appreciate all the informative data that is available on the website about the different strains. The online chat is instant and helpful. And my very well packaged order was speedily delivered.. I will definitely do business with Supernatural Botanicals again.